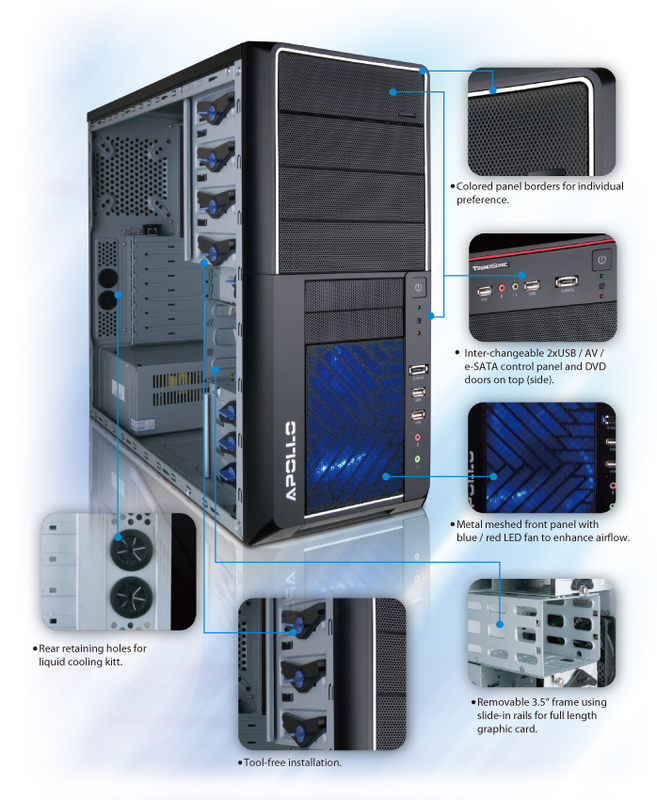 Our new Apollo AP02A Mid Tower case was bought last week for our architect's computer.This stunning casing wear it's beautiful and innovative design with trendy features.Love it. I have seen some frontier casings online but Apollo AP02A Mid Tower case was more grandeur in effect.The Frontier Apollo AP02A Mid Tower Case can support 4 fans to provide maximum ventilation inside the system and also an air duct. The LED provides glimmering lights,the PSII power supply has it's own switch button-a safety button for troubleshooting.The CE edges are 100% safety againts hand injuries and the tool free maintenance features. Cons: Need to Buy your own power supply, Consume more power due to more fans and LEDs, the whole casing is pricey compared to a common one. Price: The Apollo AP02A Mid Tower Case would cost around Php 1,800 here in Davao excluding the power supply cost.